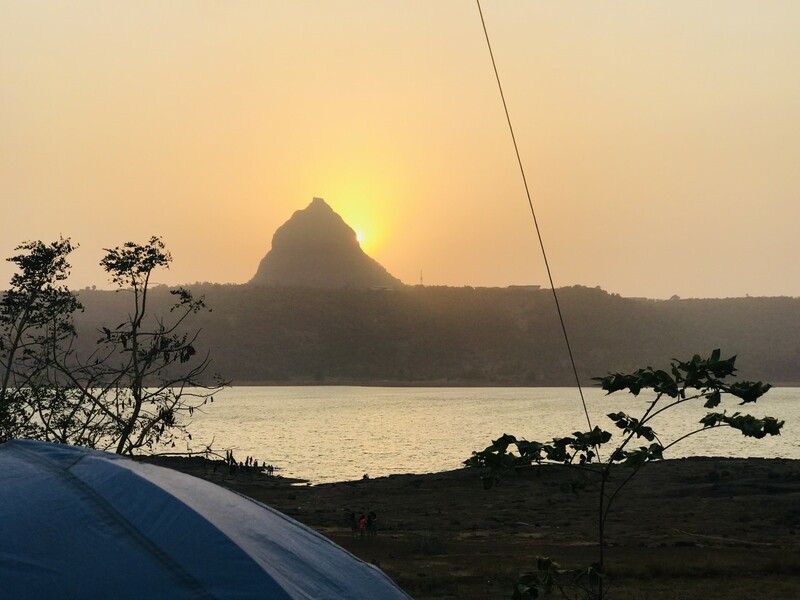 This short 2-day camping trip on the banks of the Pawna Lake offers you a refreshing atmosphere with plenty of fun games and activities. 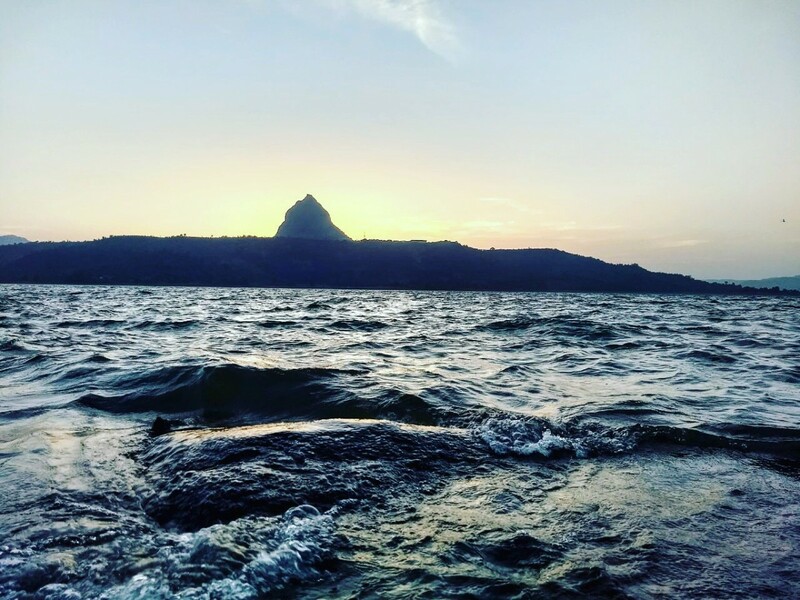 The cool and crisp breeze that blows over the lake and the monsoon greenery of Pawna are a delight to senses that have been dulled by the rigor of city life. Get your heart pumping with numerous outdoor games like cricket, volley ball or badminton, or bond with family and friends over board games. Watch a glorious sunset that paints the sky in shades of orange and pink and relax with a cup of hot tea. 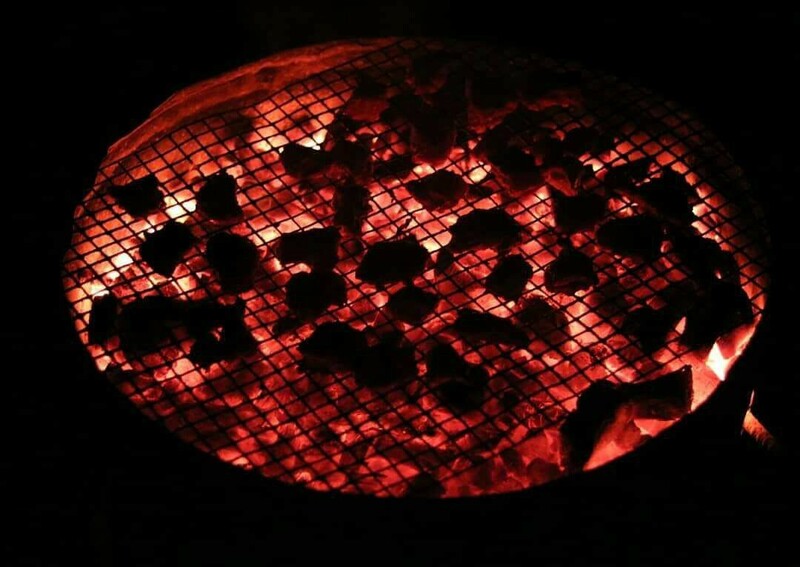 At night, you will gather around a crackling campfire and munch on delicious barbeque snacks and starters. 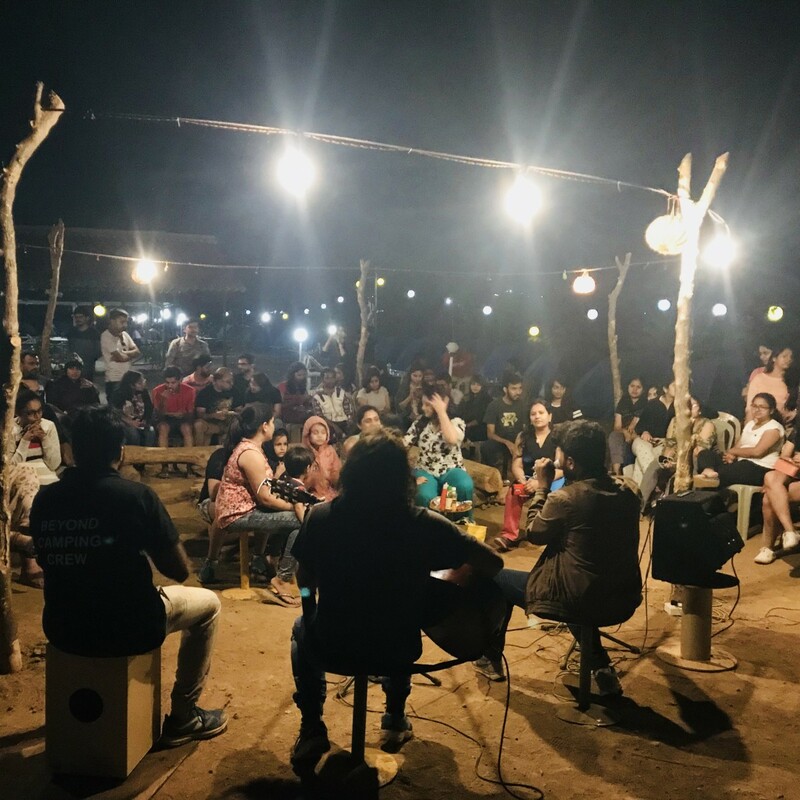 Unwind to live acoustic music and engage in jamming sessions with the rest of the campers. 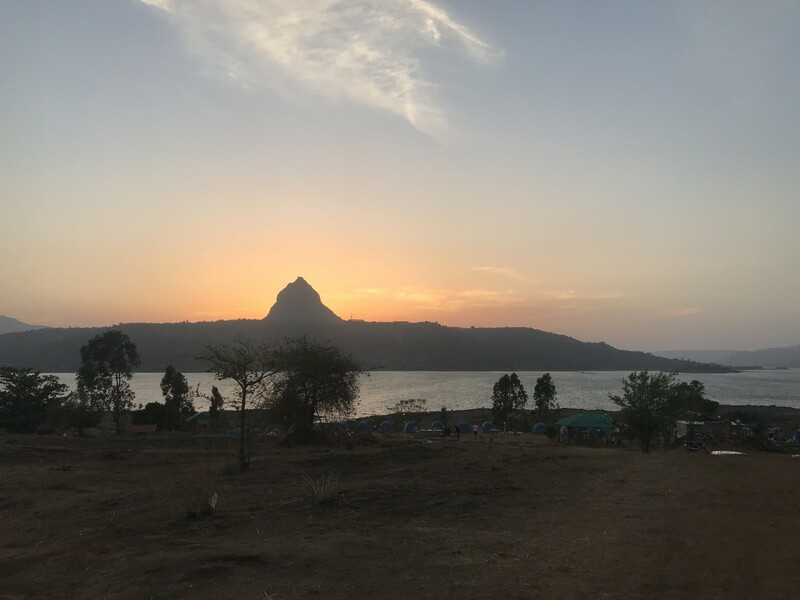 You will spend the night in comfortable tents pitched on the shores of the Pawna Lake and drift into a restful night’s sleep. Perfectly located to offer weekend getaways near Mumbai and Pune, Pawna Lake is a renowned camping destination. Surrounded by monsoon-fed greenery and relaxing holiday vibe, the Pawna Lake was created by the dam built on the Pawna River. Your tents will be pitched on the open grounds just outside the little village of Thakursai. You will spend the evening at the campsite around a bonfire with live acoustic music sessions with other campers. 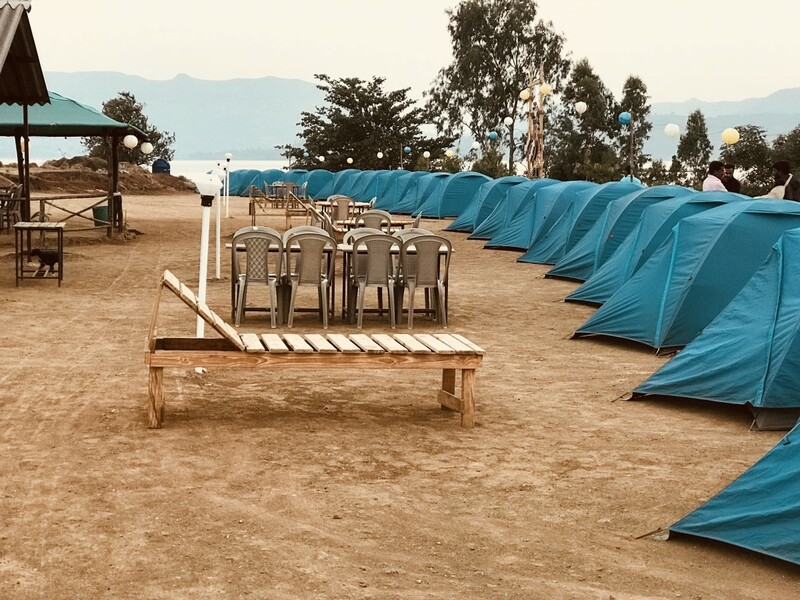 At night, you can slip back into your tents that are equipped with comfortable pillows, blankets and beddings to ensure a peaceful night’s sleep. Your meals will be simple, yet delicious and freshly made, served in the dining area in buffet style. • Spend a night camping at Pawna Lake. • Engage in live acoustic music and jamming sessions. 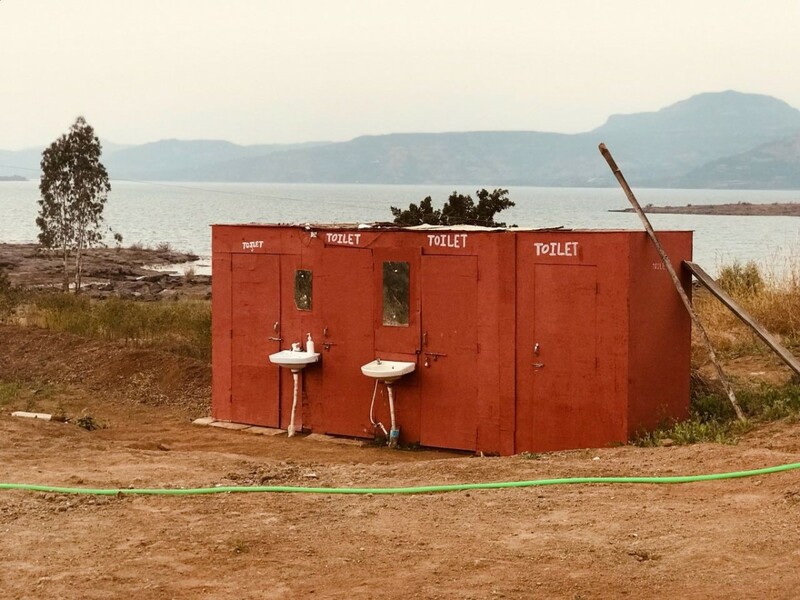 • Reconnect with your friends or family around a bonfire. • Stay in the midst of nature for a night away from the city life. A basic level of health and fitness is required to book this camping trip in Pawna. This is a non-strenuous activity. However, if you have any cardiac or respiratory conditions, or suffer from knee or spinal problems, please consult your doctor before booking this trip. Any damage to property, campsite, or equipment is chargeable. Antisocial behaviour, littering, rudeness, disturbances to the nature and peace will not be tolerated. The tour operator reserves the right to end unruly guests' stay early, without refund. Cancellations made more than 48 hours prior to the check-in date of camping in Pawna: 100% refund. Cancellations made between 48 to 24 hours prior to the check-in date of camping in Pawna: 50% refund. Cancellations made less than 24 hours prior to the check-in date of camping in Pawna: No refund. All refunds will be processed after deducting any transactions charges. Accommodation for children below the age of 3 years is not charged. Accommodation for children between the ages of 3 to 9 years will be charged at a discounted rate of INR 1,000. Meals for drivers and other staff will be charged extra at INR 500 for 4 meals or INR 250 for dinner only. The tour operator takes utmost care to ensure safety of the travellers and shall not be held responsible for any mishap, accident or loss of life during the trip. Swimming at the Pawna Lake is strictly prohibited. Jain food or non-spicy food for children can be served, only if requested at the time of booking. 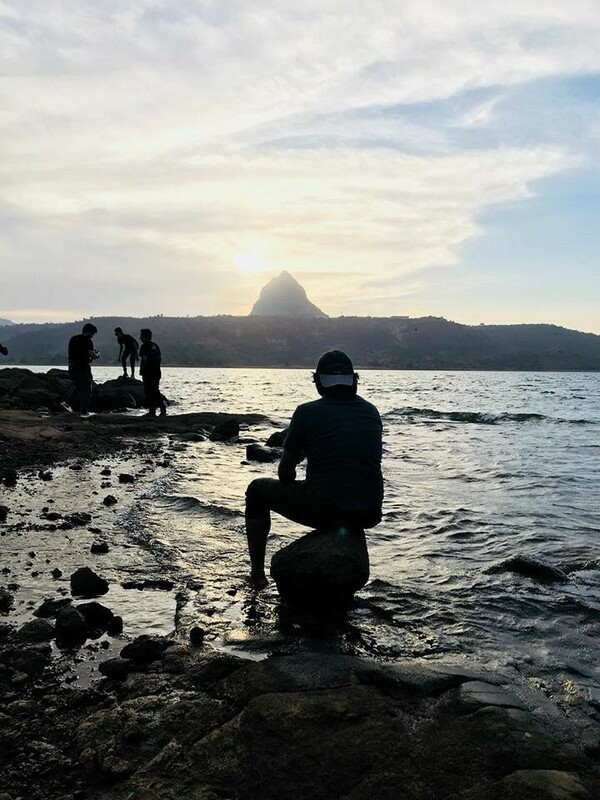 Day 1 of 2-Day Camping in Pawna: Check-in and enjoy! Arrive at the campsite and check-in to your allotted tents by 16:30 hrs. You can spend the rest of the day at leisure. Take some time to explore the campsite and visit the lake front. Watch the golden sunset while sipping on hot tea or coffee with snacks. Participate in a host of indoor or outdoor games such as badminton, archery, football, volleyball or cricket. 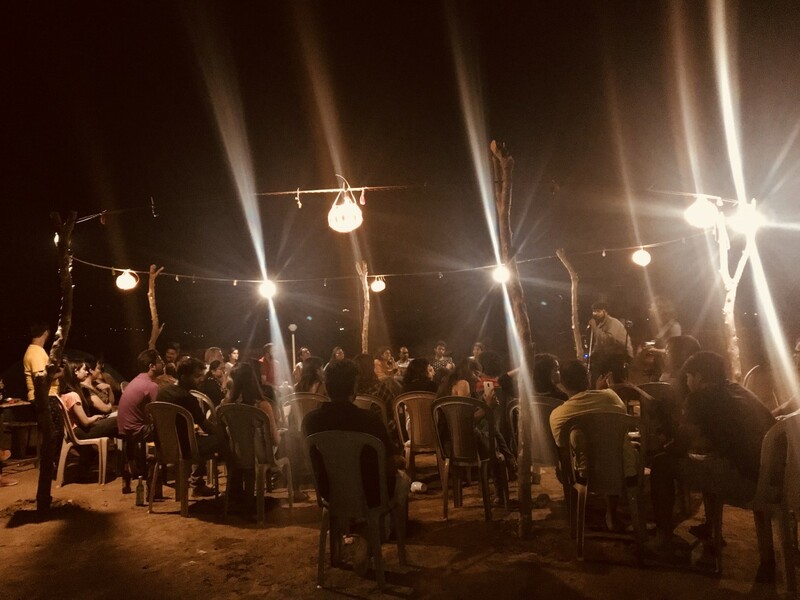 In the evening, you will gather around a bonfire with your fellow campers for a jamming session of live acoustic music. Enjoy some barbeque snacks followed by dinner. After a night of fun, retreat back into your tents. Overnight at Pawna in tents. Wake up to a beautiful sunrise and kick-start your day with freshly made breakfast. You can also have fun with your friends or family over indoor board games. After breakfast, check out at 10:30 hrs. Your trip ends here. Overnight at Pawna in tents. Today's meal package includes breakfast with tea/coffee served from 08:00 hrs to 09:30 hrs. Check-out time of the campsite is 10:30 hrs. 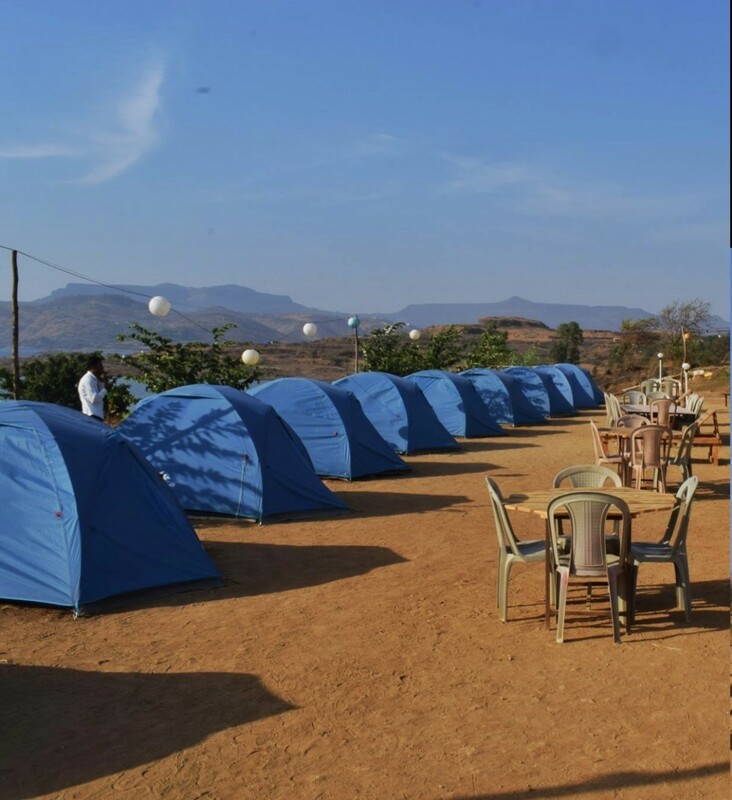 The campsite is accessible via road from Mumbai (100 kms) and from Pune (70 kms). Alternatively, you can board a train to Kamshet or Lonavala and take local transport to reach the campsite.